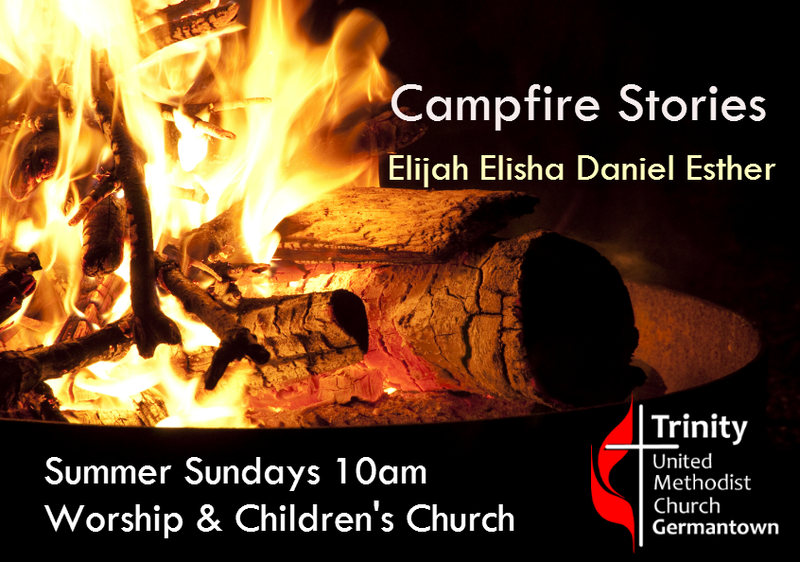 Worship & Children’s Church Sundays 10am; Join us as we explore the campfire stories of Elijah, Elisha, Daniel, and Esther, and hear how God speaks to us today with stories that never get old. Children will join us in worship and then be dismissed for Sunday School. Monday Bible Study Mondays 1-2pm with Rev. Bonnie. Join us as we dig deeper into the campfire story for the week and pray together. All are welcome! Trinity Turns 150 Sunday, September 25, 10am Save the date for this momentous worship and celebration!